Gold futures ended lower on Tuesday for the sixth time in seven sessions, and they also marked their weakest settlement in two weeks. Gold for April delivery fell $14.10, or 1.1%, to close at $1,231 an ounce on the Comex division of the New York Mercantile Exchange. The settlement was the lowest since March 1 when gold ended at $1,230.80 an ounce. "It’s position squaring ahead of the Fed because there’s a little bit of uncertainty here," Reuters quoted Eli Tesfaye, senior market strategist for brokerage RJO Futures in Chicago. "It’s a little bit concerning that the dollar is soft, equities are soft and gold is soft as well, so the market’s probably putting too much weight on the (Fed) meeting." The policy-setting FOMC kicked off a two-day meeting on Tuesday and will release its statement at 2 p.m. ET on Wednesday. Gold prices ranged from a low of $1,226 to a high of $1,238.70. In the prior session, they declined $14.30 or 1.1%. Just a few days ago, on Thursday, the yellow metal scored a 13-month high at $1,272.80 an ounce. Also on Tuesday, silver for May delivery dropped 26 cents, or 1.7%, to end at $15.261 an ounce. Silver prices traded between $15.20 and $15.42. They shed 8.4 cents, or 0.5%, on Monday. 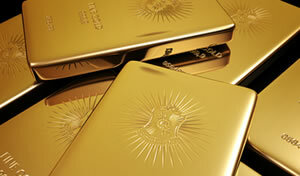 April platinum declined $5.60, or 0.6%, to $959.80 an ounce, ranging from $951.40 to $965.20. Palladium for June delivery fell $2.10, or 0.4%, to $570.70 an ounce, trading between $559.15 and $572.50. Gold declined $10.75, or 0.9%, to $1,232 an ounce. Silver declined 28 cents, or 1.8%, to $15.32 an ounce. United States Mint bullion products logged gains of 3,000 ounces in gold coins and 258,500 ounces in American Silver Eagles. This week, the U.S. Mint rationed sales of Silver Eagles to 1 million. Distributors ordered 96.8% of them through Tuesday, leaving 32,500 left until more become available next week. Their cumulative total for the year reached 12,967,500 coins, or 29.9% higher than through the same time in record year 2015. The highly-anticipated 2016-W Winged Liberty Head “Mercury” dime centennial 1/10 ounce .9999 fine gold coins have all been struck at the West Point Mint & will be ready to ship on first day of sales April 21. No photos yet of actual coin on the U.S. Mint’s website, but it will be a regular circulation strike finish & not a Proof or special finish, although it will be housed in a nice wooden box. It should be a winner & might crash the Mints website due to major anticipation & traffic.